The Lewis shale gas play is located in the San Juan Basin in Colorado and New Mexico. According to USGS, the area for the Lewis shale play is approximately 7,506 square miles. 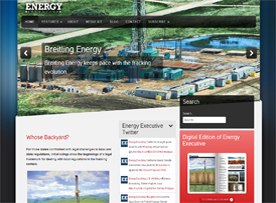 The shale gas play has an average EUR of 1.3 BCF per well and approximately 11.6 TCF of technically recoverable gas. 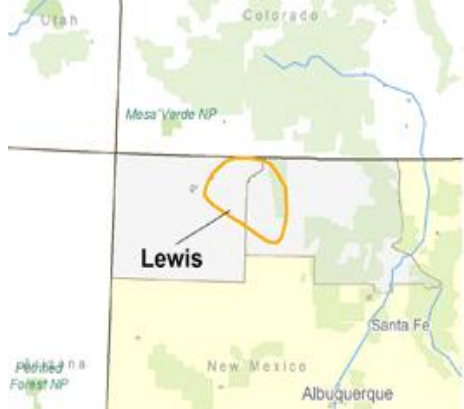 The well spacing for Lewis is estimated at 200 acres per well (3 wells per square mile). The depth of the Lewis shale ranges from 1,640 to 8,202 feet deep and is 200 to 300 feet thick. Other average properties were estimated for the Barnett-Woodford shale play. These include the depth (4,500ft. ), thickness (250 ft), and porosity (3.5%) for the shale. Due to a lack of current production and other issues within the play, the total organic content is undetermined. 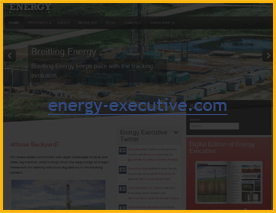 Both information on the active companies and their leased acreage, and information on the well drilling and completion costs are not currently available. In 2002, USGS conducted an assessment of the Lewis shale play. They estimated that the total undiscovered resource for the Lewis continuous gas is between 8,315 and 12,282 BCF with a mean undiscovered resource of 10,177 BCF.